Greek yogurt has been somewhat revolutionary in the home-cooking world and I love finding recipe after recipe incorporating this protein-packed ingredient. One of my favorite uses of this new ingredient is to thicken up hearty soups, like this one. Since I love pancakes and I love finding ways to make food healthier without compromising the taste, I was very excited to find this recipe for greek yogurt pancakes. 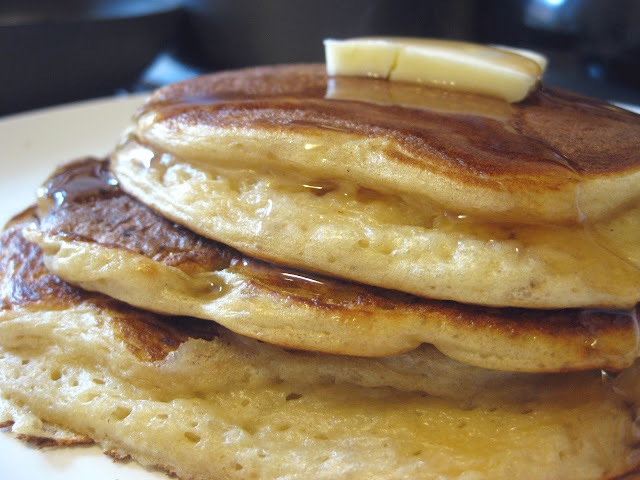 The batter for these breakfast treats is incredibly thick which means the pancakes take longer than normal to cook all the way through, but this also means that the resulting product is THICK AND FLUFFY. Need I say more? I a small bowl, combine the yogurt, egg and vanilla with a whisk. Mixture should be a pale yellow with a few lumps here and there. In a separate bowl, mix the flour and baking soda. Add the wet ingredients to the dry ingredients and stir to combine. The batter will be very, VERY thick. Using a griddle on medium-high heat, spray with cooking spray and spoon batter to form a pancake of your desired size. Wait about 3 minutes or until bubbles start to form. Flip and cook for about 2 more minutes. Serve with your favorite breakfast topping. 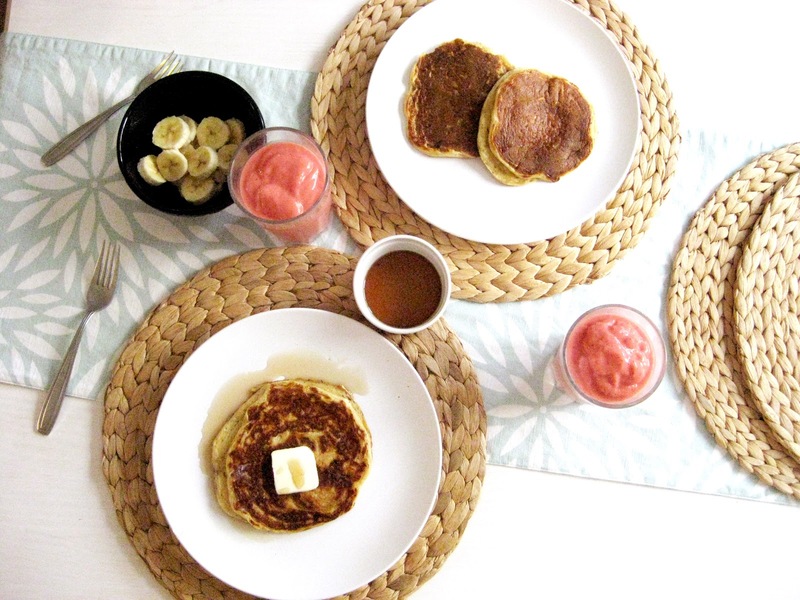 Yay, Greek yogurt + pancakes? amazing! I agree with Mal, absolutely perfect! Just made these, but with gluten-free flour - very yummy! Thanks for your great recipe admin, It's really great and i love it very much. Here i also started my first blog and it's about foods and health. You can read more article like Best greek yogurt for weight loss and hope you enjoy the articles.